Once upon a time in masala filmland, families/siblings were routinely torn asunder (usually in Kumbh Mela, accidents or by the machinations of the evil villain) and brought together years later through inevitable coincidence. Sadly, families always seem to stay together these days. Be that as it may, as a card carrying member of Bollywood’s families-torn-apart-and-re-united party, I was, naturally, always alert to the possibility that I have missing family out in this big bad world. But it was in blogland that I finally met my long-lost masala sisters – Anu (Conversations Over Chai) and Madhu (Dustedoff). Anu and Madhu found each other years ago. My masala sibling-ness took a while to manifest itself – Anu and I both lived in Bombay, Madhu and I both live(d) in Delhi, all three of us had (mostly) the same thoughts about movies/songs/actors/books. But when Anu and I watched the same movie (five years apart) and found ourselves making the same comments on the film, it was time to face up to the truth – we were bicchdi behne indeed! A re-union of masala sisters does not happen everyday. To celebrate this once-in-a-lifetime re-union, we decided to watch our favourite masala re-union stories. In order to spare you reading about the same movie thrice (of course, we all chose the same movie to review!) Anu decided to watch Yaadon Ki Baaraat (three brothers separated in childhood by an evil villain), Madhu went for Johnny Mera Naam (two separated brothers) and I settled for my favourite twin-sisters-separated-at-birth film. 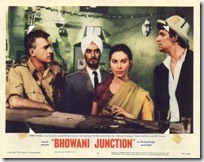 Kabli Khan (1963) – scenery-chewing patriotism! Masala patriotism is not my favourite genre, but where there are rules, there are exceptions to rules. And this film is firmly in the exception-to-rules category as far as my no-unsubtle-patriotic-films rule goes. I picked this up because it stars Ajit and Helen, and have no reason to regret my choice. I’ve been on a murder mystery watching spree of late. For a change of pace, I thought I’d watch something romantic. But what to watch? That’s not a decision to be taken lightly. Ergo, I spent several (happy) hours on youtube, trying to decide what to watch! After much research and mental debate, I settled on watching a Madhubala film – even if the film is bad, Madhubala makes up for many filmi flaws. Once the all-important decision was made, it wasn’t hard to decide that a re-watch of Ek Saal is exactly what the doctor ordered. 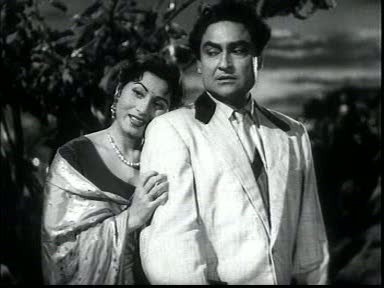 It’s my favourite Madhubala movie, it has her paired with another favourite – Ashok Kumar – in my favourite kind of romance – the bad guy reformed by TRUE LOVE!!!! 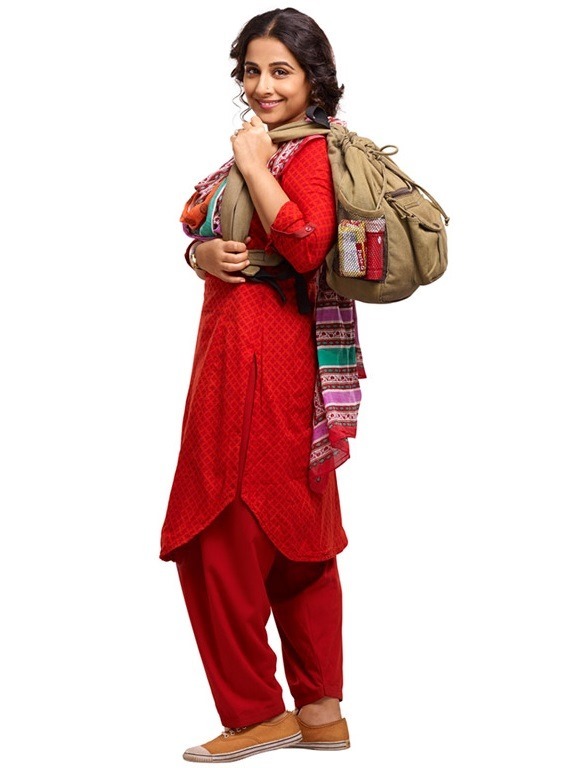 Who wouldn’t be reformed by love of Madhubala? Certainly not our revered Dada Mani. I am very partial to well-made romantic films, and this one ticks all the boxes on my checklist for well-made romances: Dishy hero? Check. Melt-into-a-puddle romance? Check. A mature, grown-up couple? (No, I am not referring to their ages!) Check. Romance in the hills? Check! Coherent, well-crafted story? Check. Well-written dialogues? Check. I could go on and on, but I think you get the picture!